Is There a Way for Survey Respondents to See and Print a Summary of Their Responses Before Submitting? Currently, we have a widget called "Preview Before Submit" for this action. 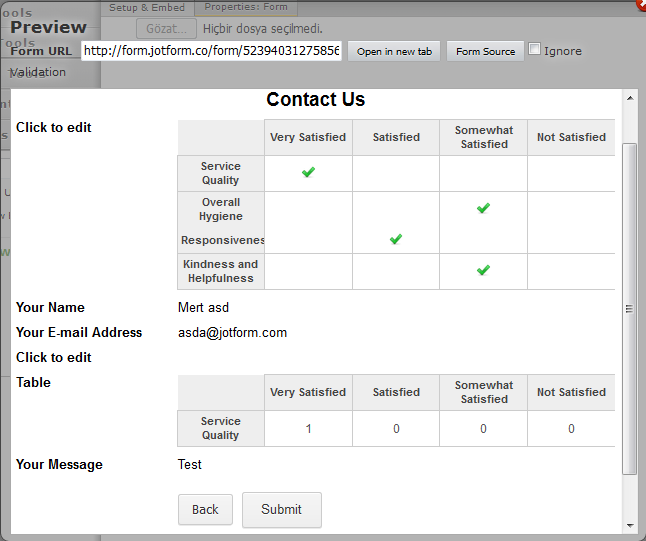 It doesn't list the summary of your form at the end of the same form page, but it shows the summary before the submit as the name implies. 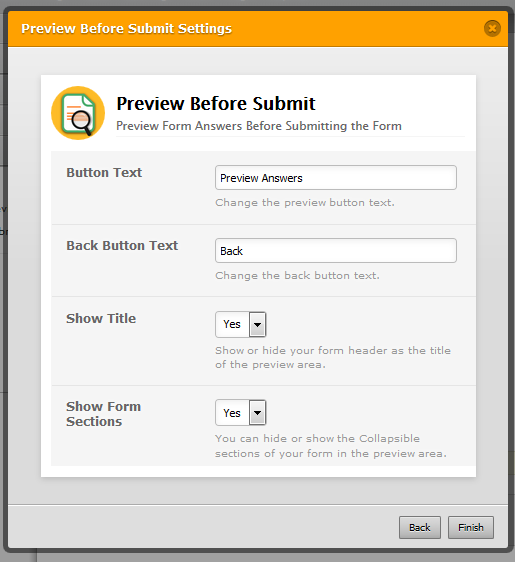 It adds additional step between form view and the submit action. Once you added the widget, its settings popup window will appear automatically. You can adjust the settings for it on that window.